Universal Design is a voluntary program encouraged by the Irvine City Council in which participating homebuilders may offer universal design features where permitted by architecture and elevations. Universal Design concepts simplify life by making homes and associated living environments more useable by more people including children, aging populations and persons with disabilities. These design features accommodate the aging of family members by incorporating universal design principles and elements in the materials, technology and products in the construction of a new home. See your builder to obtain "Universal Design: Homes for the Future Today." This brochure was developed by the Accessible Housing Task Force for prospective homebuyers. If you would like additional information on Title 24 Chapter 11A-Accessibility Standards, please call (949) 724-6371. Click here to visit the National Resource Center on Supportive Housing and Home Modification. Click here to view the Universal Design Resource Guide for Residential Modifications. 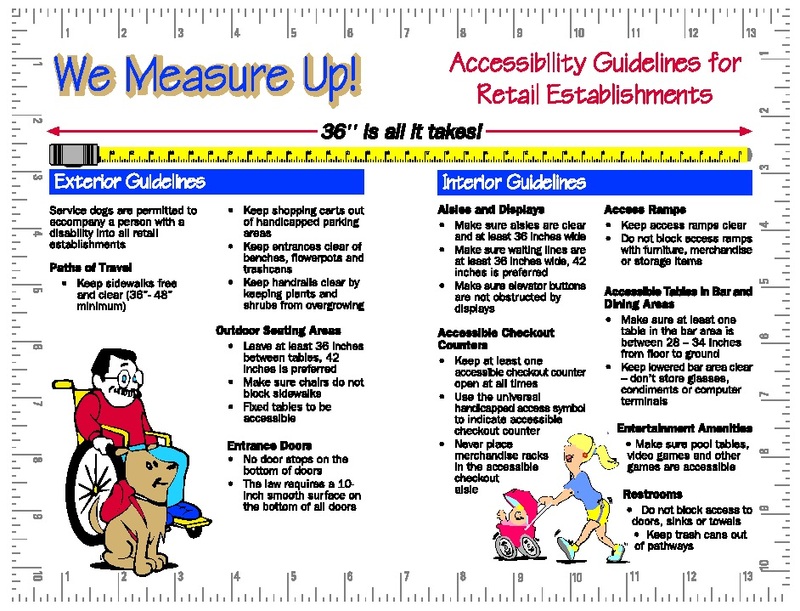 Click here to view Accessibility Guidelines for Retail Establishments. Click here to view the 2007 New Home Universal Design Option Checklist (AB 1400).